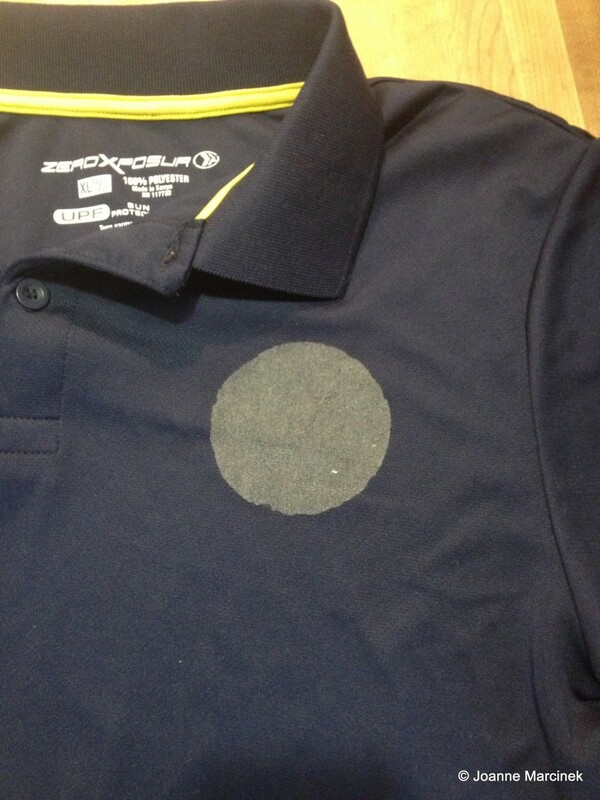 I had to research how to remove sticker residue because I had forgotten to remove the label from a new polyester sport shirt I had bought for my 16 year old son and it left a big circle of dried adhesive. Unfortunately I didn't realize that the sticker hadn't fully washed off until I put the shirt in the dryer (which every source I've ever researched says absolutely NOT to do because it "sets" the glue even further). Oh well. 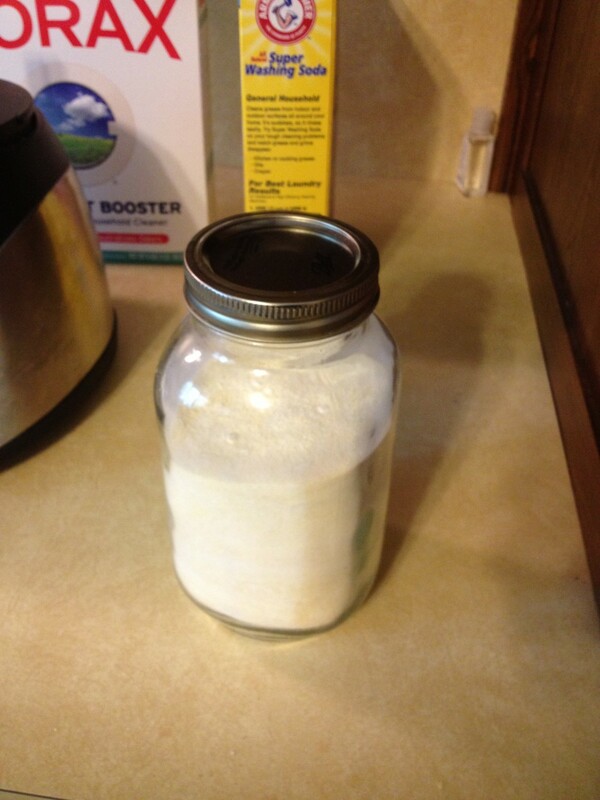 I had read online about a few options for substances that can remove sticker residue from clothing, but the easiest and most simple seemed to be vegetable oil. So I spread some oil on the sticker residue and then rubbed it in. OxiClean to help remove the oil. 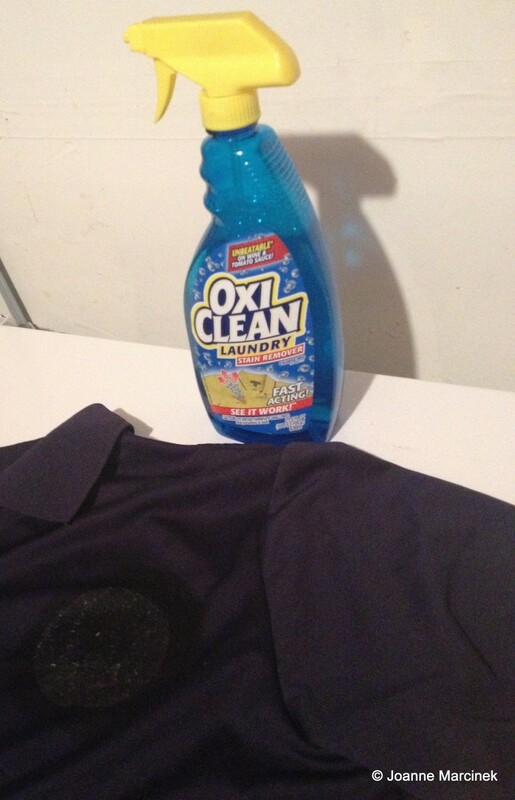 I plan to find out if there's a way to make this laundry miracle stuff at home, but in the meantime, OxiClean spray is FANTASTIC at getting oil stains off of clothing. So, I figured since I had just deliberately oiled up this shirt to disolve and remove the sticker residue, I should also give it a shot or two of OxiClean to handle the excess oil. The main active ingredient of OxiClean is Sodium Percarbonate an adduct (a product of a direct addition of two or more distinct molecules) of Sodium Carbonate and Hydrogen Peroxide. I rubbed in the OxiClean after spraying it on. Let it sit for about 15-30 minutes and then washed the shirt with a regular load of laundry. What's your hardest working laundry product? Hooray, it worked! The shirt is clean and dry. 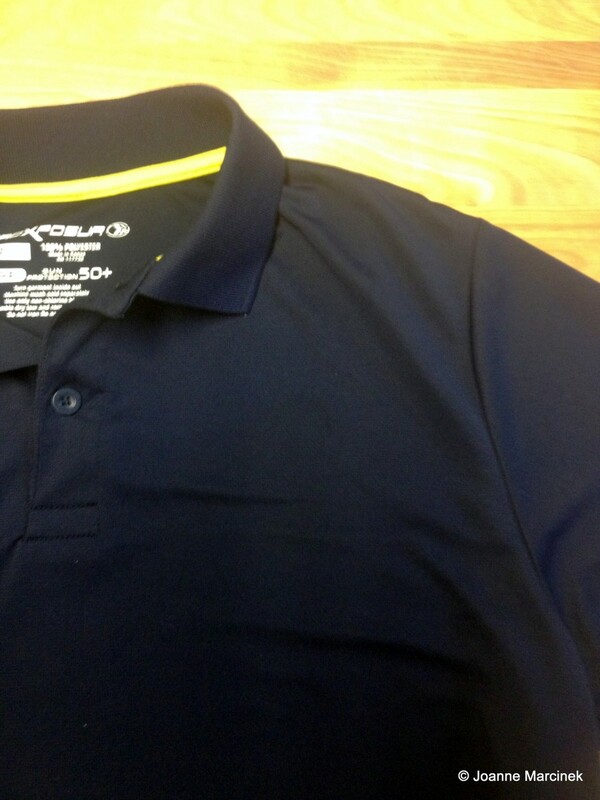 No sticker residue, no vegetable oil stain, just a nice clean shirt. Now I have a secret weapon against sicker residue! I had a sticker on a 100% polyester Kelly green shirt that was washed, but luckily I did not put it in the dryer after. I searched how to remove and pulled up your pin. I was a bit hesitant with oil on the shirt then thought it's not like I'm wearing it like this anyway. Now I have not had luck with Oxy Clean the couple times I have used it so I decided on Dawn dish detergent. So I put the veggie oil on my shirt, let it soak in about 5 minutes then I scraped lightly with just my finger nail and the sticker came up very easily. I then got some Duck Tape and it picked up the remaining sticker scrapings I could not quickly pick off. I then squirted Dawn all over the oiled area and put it in my washing machine on cold. 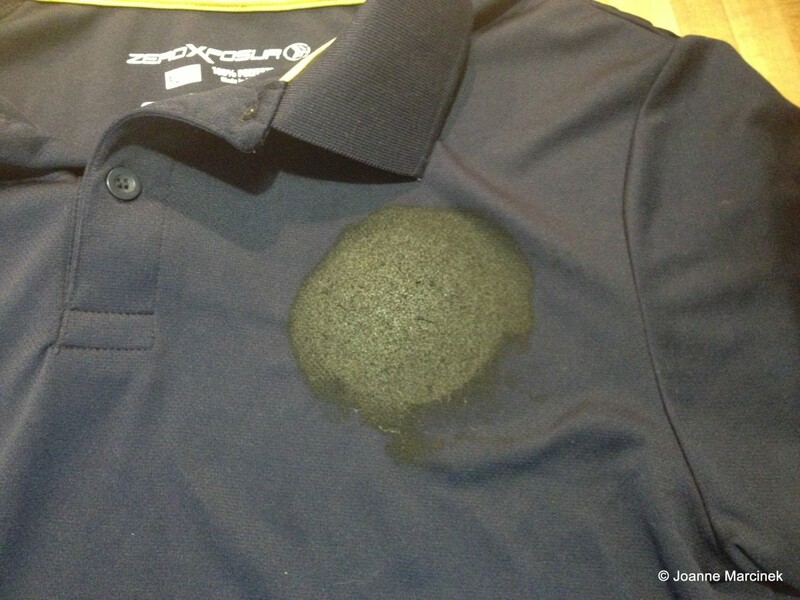 YAY, so happy the stain and oil are both gone...shirt is like new again!!!!! Thank you! I'm surprised to see you use oil since that might also stain the fabric but I can see how it would help remove the sticky residue.